Kristin is set to perform at Mancini Delivered on Saturday, April 1, 2017. The Wallis Annenberg Center for the Performing Arts will celebrate the musical legacy of Henry Mancini, one of the world's greatest composers, conductors and arrangers. Kristin will join Patti Austin, Clint Holmes, Quincy Jones, Dave Koz, Monica Mancini, Matthew Morrison, Robert Wagner, John Williams and the Henry Mancini Institute Orchestra conducted by Chris Walden. 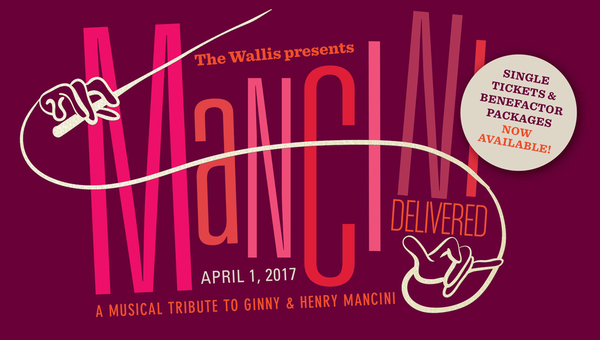 Mancini Delivered will consist of three acts that will showcase the Mancini musical legacy and the historic building. Tickets are available for purchase HERE!